Cinnamomum camphora. Ravintsara essential oil has antibacterial, antiviral, analgesic and anti-inflammatory properties for respiratory conditions and infection. An oil you’ll never forget. 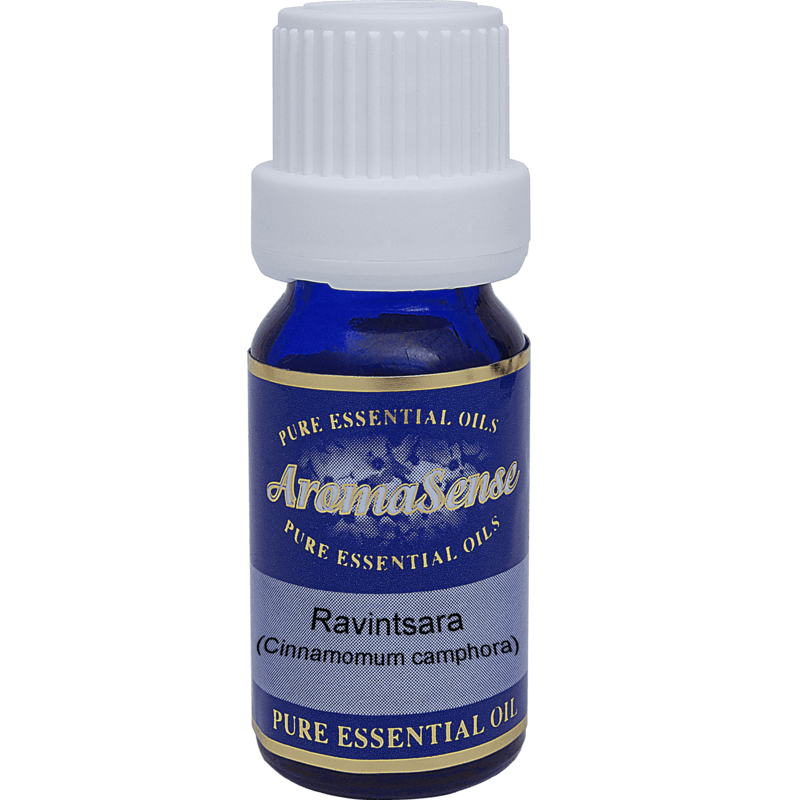 Ravintsara essential oil is extracted from the leaves of the Cinnamomum camphora tree which is a large evergreen tree that grows up to 20–30 m tall. 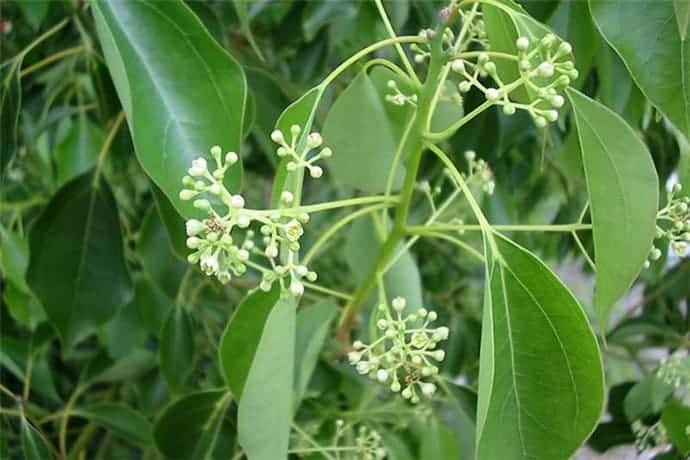 The leaves have a glossy, waxy appearance and smell of camphor when crushed. What does ravintsara essential oil smell like? It has a fresh, clean, eucalyptus-like smell. The aroma is refreshing and energising. Where has ravintsara essential oil been sourced from? This particular ravintsara oil originates from Madagascar. How is ravintsara essential oil extracted? Ravintsara oil is extracted by steam distillation. What other oils blend well with ravintsara oil? It blends well with eucalyptus and tea tree essential oils for respiratory infection, with rosemary and lemon for mental fatigue. How can I benefit from ravintsara essential oil? 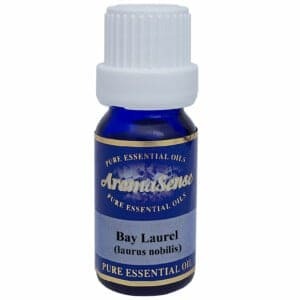 On the emotional plane the oil soothes anxiety and stress. On the physical plane it shows antibacterial, antiviral, analgesic and anti-inflammatory properties for respiratory conditions and infection. It has an immunostimulant capacity due to its antimicrobial, anti-inflammatory and tonic actions. Generally ravintsara is non-toxic and non-irritating, but can be skin irritating if oxidised. Use with care for children under 10 years old as it can cause CNS and breathing problems. 100% Therapeutic Ravintsara essential oil.